One of the most common diagnoses made in Uganda is “bacterial infection” treated with “antibiotics”. In spite of a 6-year degree in medicine and a 5-year specialization course in Internal Medicine, I confess I was absolutely not familiar with this “disease”. So I logged on to one of the best medical literature website and typed into the search box “bacterial infection”. I was not surprised to see that the search did not give any result: “bacterial infection” does not exist as a medical diagnosis. What the search came up with was bacterial meningitis, bacterial peritonitis, bacterial tracheitis, bacterial vaginosis, etc etc etc. …plus a very instructive article about antibiotics (copied below). 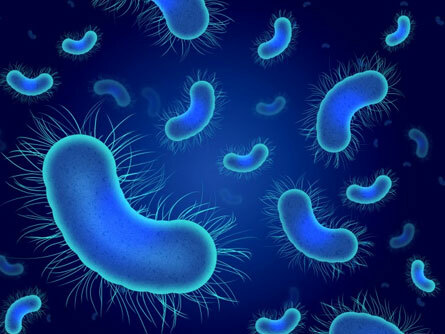 Bacterial infection is quite a general term to describe a disease caused by bacteria: usually it has quite well defined features since bacteria usually infect a specific site of the body. So we may have a bacterial pneumonia, a bacterial gastroenteritis, a bacterial meningitis etc etc. Other types of microorganism can cause diseases; viruses and fungi. Sometimes they can cause a clinical picture similar to the ones above, even though more often viral infections are less well localized, vaguer. More important, viruses and fungi do not respond to antibiotics…while bacteria do (for the moment…). How can we distinguish diseases caused by a virus versus one caused by a bacteria, so possibly needing an antibiotic? The history and the clinical picture (what the patient tells and how it looks) are usually the most important criteria. Some diseases like common colds, sore throats, bronchitis etc are almost always caused by a virus. Tonsillitis, pneumonia, peritonitis, bladder infection are more often caused by a bacteria. As you may imagine, the immune system reacts immediately to any infection, increasing the number/activity of white blood cells. Different cells and different mechanism are used to fight different type of microorganism, even though the initial reaction may be quite general and aspecific…a sort of “high alert state” till the type of threat is better identified and addressed. Unfortunately, it is not only infection that can cause an increase of white cells, and especially of the “neutrophils”, the subtype of white cells more specifically involved in fighting bacteria, and the first to increase in a situation of disease. Again, when I searched the topic in the famous medical website, infection was one of 13 possible causes of high level of neutrophils, among vigorous exercise, pregnancy, stress and anxiety, trauma, cigarette smoking…. So……. giving a diagnosis of “bacterial infection” – not better defined – and based only on an increased number (or simply an increased percentage with a normal absolute count) of neutrophils is not what medical science teaches. It only brings abuse and misuse of antibiotics, wrong diagnosis and false believes. Possibly, and hopefully, in the future we shall have simple and quick tests which can quickly tell what type of infection we have. Till then, we shall still go through the tedious procedure of asking questions, examining the person, and using science and evidence based medicine to decide the best course of action. What are antibiotics? — Antibiotics are medicines that help people fight infections caused by bacteria. They work by killing bacteria that are in the body. These medicines come in many different forms, including pills, ointments, and liquids that are given by injection. Antibiotics can do a lot of good. For people with serious bacterial infections, antibiotics can save lives. But people use them far too often, even when they’re not needed. This is causing a very serious problem called antibiotic resistance. Antibiotic resistance happens when bacteria that have been exposed to an antibiotic change so that the antibiotic can no longer kill them. In those bacteria, the antibiotic has no effect. Because of this problem, doctors are having a harder and harder time treating infections. Experts worry that there will soon be infections that don’t respond to any antibiotics. When are antibiotics helpful? — Antibiotics can help people fight off infections caused by bacteria. They DO NOT work on infections caused by viruses. When are antibiotics NOT helpful? — Antibiotics do not work on infections caused by viruses. Antibiotics areNOThelpful for the common cold, because the common cold is caused by a virus. Antibiotics areNOThelpful for most cases of sinusitis, because sinusitis is usually caused by a virus. Sinusitis that starts out as a viral infection can turn into a bacterial infection, but that takes time. If you have had sinusitis symptoms for less than 10 days, you should not take antibiotics unless you also have a high fever. Antibiotics areNOThelpful for most cases of acute bronchitis (an infection in the airways leading to the lungs), because bronchitis is usually caused by a virus. If you have bronchitis and cough up green mucus, that does NOT mean you have a bacterial infection. Allergies to antibiotics are common.You can develop an allergy to an antibiotic, even if you have not had a problem with it before. Some allergies are just unpleasant, causing rashes and itching. But some can be very serious and even life-threatening. It is better to avoid any risk of an allergy, if the antibiotic wouldn’t help you anyway. Overuse of antibiotics leads to antibiotic resistance.Using antibiotics when they are not needed gives bacteria a chance to change, so that the antibiotics cannot hurt them later on. People who have infections caused by antibiotic-resistant bacteria often have to be treated in the hospital with many different antibiotics. People can even die from these infections, because there is no antibiotic that will cure them. When should I take antibiotics? — You should take antibiotics only when a doctor or nurse prescribes them to you. You should never take antibiotics prescribed to someone else, and you should not take antibiotics that were prescribed to you for a previous illness. When prescribing an antibiotic, doctors and nurses have to carefully pick the right antibiotic for a particular infection. Not all antibiotics work on all bacteria. What if my doctor prescribes an antibiotic that did not work for me before? — If an antibiotic did not work for you before, that does not mean it will never work for you. If you have used an antibiotic before and it did not work, tell your doctor. But keep in mind that the infection you had before might not have been caused by the same bacteria that you have now. The “best” antibiotic is the right one for the bacteria causing the infection, not for the person with the infection. What if I am allergic to an antibiotic? — If you had a bad reaction to an antibiotic, tell your doctor or nurse about it. But do not assume you are allergic unless your doctor or nurse tells you that you are. Hives – Hives are raised, red patches of skin that are usually very itchy.